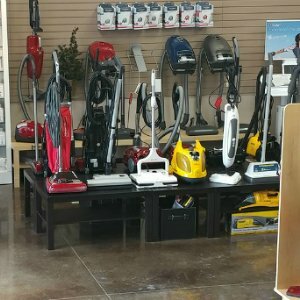 If you like your current vacuum cleaner but think it may not be operating at peak performance, bring it in and allow us to diagnose the problem; many times, there’s a simple and inexpensive solution. With proper care, a quality machine can provide years of dependable service. All repairs are completed on-site by qualified technicians. We recommend and offer preventative maintenance services that will keep your vacuum functioning properly while reducing or eliminating future repair bills. At Stuart’s, estimates are free and we’ll be glad to call you prior to doing any work on your vacuum cleaner. We regularly repair Hoover, Bissell, Eureka, Oreck, Kirby, Rainbow, Compact/Airstorm, Filter Queen, Panasonic, Miele, Lindhaus, Sebo, Riccar, Simplicity, Carpet Pro, Fuller Brush, Sanitaire and handle the warranty work on any brand we sell.